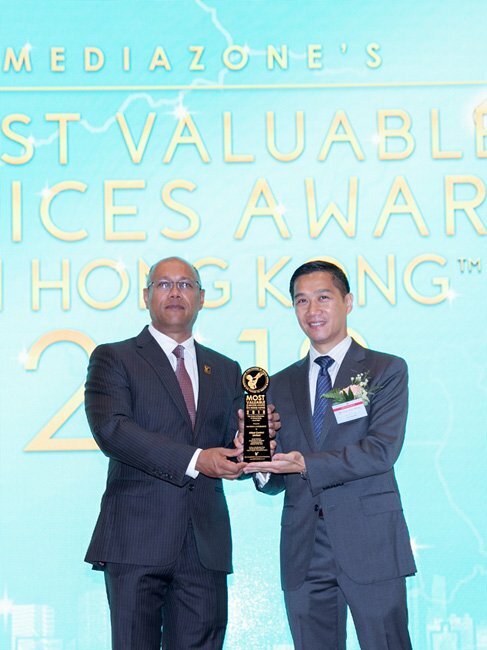 This June 1st 2018, Allied Control received the award for Most Valued Company in Hong Kong from the Mediazone Group. The award, received for the firm’s innovative cooling technology, is one of the city’s most prestigious business awards. 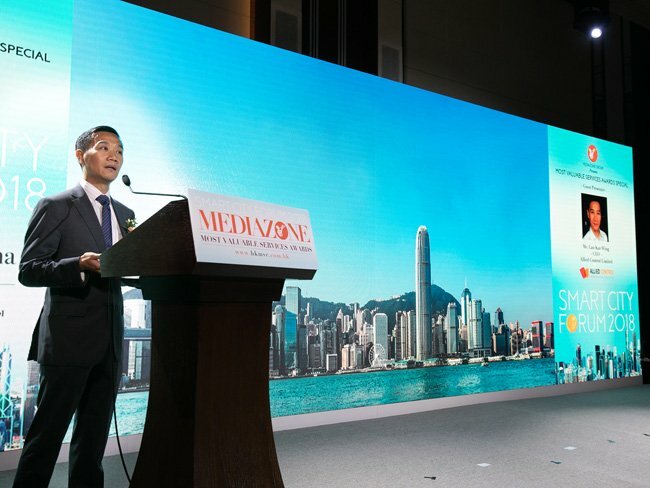 Winners are selected by the Mediazone Group’s Editorial Committee based, among other factors, on actual achievements of brands and their contributions to Hong Kong through their services and/or products, companies’ annual performance, and their impact and leadership roles in their respective industries. At this occasion, Allied Control’s CEO Mr. Kar-Wing Lau gave a presentation, giving participants a glimpse of how 2-phase immersion cooling is revolutionizing cooling energy efficiency in the data center industry and simultaneously helping our ecological environment. 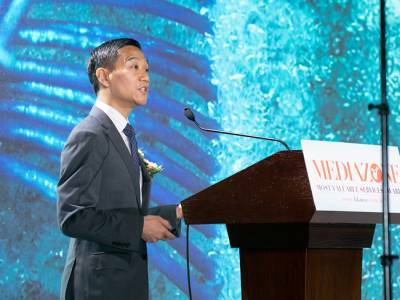 Mr. Lau explained that currently, the amount of cooling electricity used by the world’s data centers altogether is comparable to the electricity generated by some 10 nuclear power plants. Unfortunately in places like Hong Kong where energy mostly comes from the pollution-generating burning of coal, oil and other fossil fuels, data centers are therefore contributing to air pollution. Scientific research on Heat Transfer Coefficients shows that heat dissipation and transfer in systems using boiling and condensation, such as Allied Control’s immersion cooling system, can be up to 4000 (yes, that is four thousand!) times more effective than the traditional forced-air methods used to cool data centers, which require bulky, power-hungry and inefficient fans that waste energy and space while generating a lot of inconvenient noise, heat and in some cases, unwieldy winds of up to 56 Km/h. With Allied Control’s technology, electricity needs are cut drastically, given that in hot and humid locations for example 45% of traditional air-cooled data center electricity needs are devoted solely to air cooling. The 2-phase immersion cooling also avoids the inconvenient high velocity winds and noise levels generated by power-hungry fans, and furthermore, helps to save on real-estate costs as the high Heat Transfer Coefficient of immersion cooling allows for electronic components to be packed much more densely than current data center components currently are. The component density enabled by our cooling technology translates into even greater cost savings in locations with high real estate costs such as Tokyo, Singapore, Hong Kong, New York or London, to name just a few. In such densely populated places, old factory buildings and warehouses can easily and cost-effectively be recycled as immersion cooled data centers. 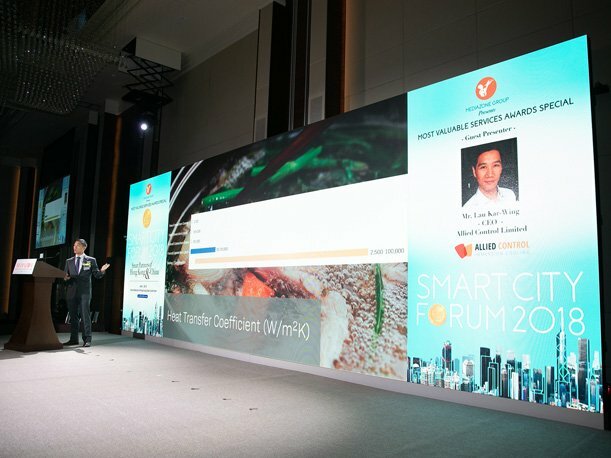 This technology has led Allied Control to receive several awards over the years, such as the Best Green ICT Award for “Hong Kong’s Most Energy Efficient Data Center”, the DatacenterDynamics Award for “Future Thinking & Design Concepts”, and the Green Innovations Gold Award. Given its numerous advantages, we believe our 2-phase immersion cooling technology truly has the potential to fundamentally revolutionize the data center industry – helping decrease energy usage and real estates for companies worldwide, contributing to a cleaner air and greener planet for all of us and for the generations ahead.